Sorry. This class filled up quickly and is now closed. Let me know if you’d like to be on the mailing list for the next offering. 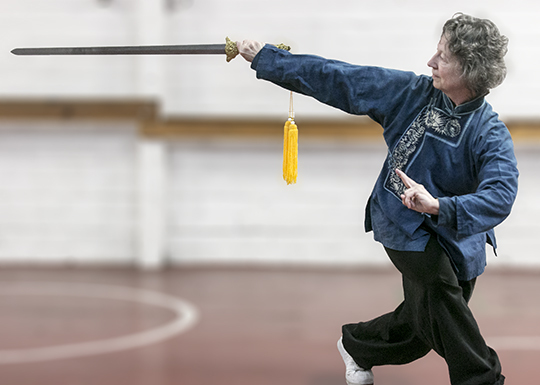 Beauty, grace, agility, and strength, are all qualities long associated with the revered Chinese straight sword, or jian. Over two thousand years old, the jian has many faces. Long considered a magical talisman as well as a martial weapon, it is often called the “scholar’s weapon” because of its association with the development of character, wisdom, gentleness, integrity, and composure. It is said that a straight sword practitioner must learn to connect the sword to the heart, utilizing spirit, mind, and qi to control the movements. Even in fighting, the practitioner must wield the sword in such a way as to engender friendship and respect, never evoking anger or resentment. 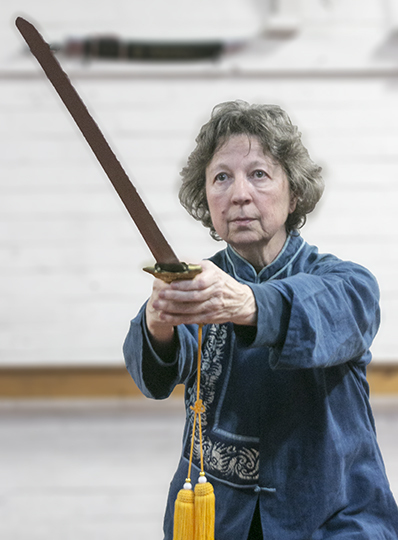 In this class, students will learn and practice basic straight sword movements, which can constitute a stand alone practice, or form a solid foundation for more advanced work. Come join us for this fun and inspiring class!